Blanking on how to get more opens and clicks on your next email campaign? We've all been there. Luckily, there’s a never-ending amount of ways to spruce up your email marketing efforts. We’ve compiled a list of seven of our favorite ideas ramp up engagement with your next send. Your subject line is one of the first things your readers see before opening your email, so you can use emoji to make your subject line stand out in a crowded inbox. On a Mac? Use Ctrl-Command-spacebar to bring up the emoji keyboard. For PC users, click here. Nothing can spruce up a mailing like quotes or social proof. It lets your readers see what others are saying about you (and a little humblebrag never hurt anyone), so when people rave about your brand online, add it to your next campaign. If you're blanking on what to put in your next campaign, add a list and link out to all the brands, blogs, YouTube videos, hilarious GIFs, anything that you've found inspiring or entertaining. Here’s an example from retailer, Ugmonk. And while we're on the subject: let's talk GIFs. We may be divided on how to pronounce it, but one thing's for sure: We all love them in email. Bonus points when you create your own GIF to incorporate into your email's design. Instead of stacking blocks of text and image content vertically, try alternating them in what's called a Z pattern (which is, coincidentally, how our eyes naturally move when reading). On one row, from left to right, place your image then text. On the next row, from left to right, text then image. And so on. It visually breaks up your email and makes it easier to focus on multiple points. Sure, we all love the classic #ffffff. But it might be time to look at your brand's guidelines and color scheme to see if a new background color could help spruce up your mailing's look. Check out this example from Offscreen that uses a background color in their header instead of an image. Find out exactly what content in your email resonates best with your audience. 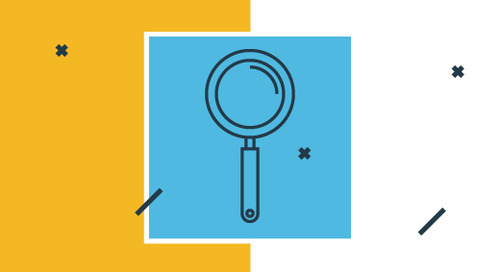 Our A/B Content Testing feature lets you test CTAs, content layout, copy, and more with a percentage of your audience, and delivers the winning content to the rest. It's easy, measurable, and takes the guesswork out of your marketing. 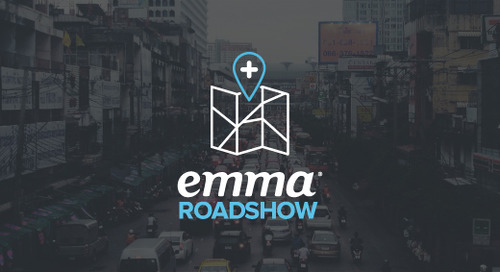 Announcing the very first Emma Roadshow! See what's causing marketers' biggest headaches along with quick tips for how to overcome them.